Music retailer HMV is acquired by Canadian Doug Putman, Getintothis’ Peter Guy on how 100 of the chain’s high street shops are to be saved. HMV has been acquired by Canadian vinyl lover, Doug Putman, owner of Sunrise Records. Putman beat off rival bidders including Sports Direct‘s Mike Ashley, revealing he will keep 100 of the 127 shops open and maintain the HMV brand. Putman and a HMV management team will now secure control of the chain from administrators KPMG. 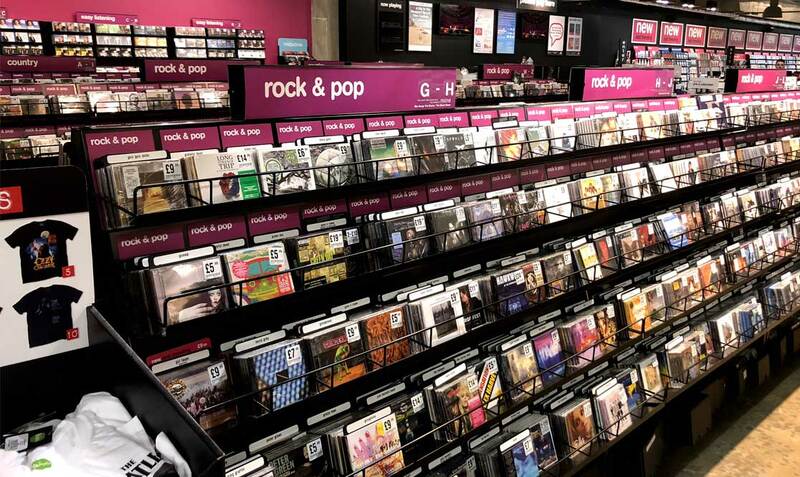 The joint administrators of HMV have confirmed the sale of the businesses and assets to Sunrise Records & Entertainment Limited, whose shareholder is Doug Putman. It will keep 1,487 shop and head office employees and shops will continue to trade as HMV, with four continuing to trade as Fopp. Twenty-seven shops have not been acquired, and will be closed with immediate effect, resulting in 455 redundancies. Two years ago, Putman took control of around 80 HMV Canada shops, rebranding them to Sunrise Records, he insists however that this new takeover will see the UK shops maintain the HMV brand. He added: “We’ve been able to come up with a great deal that allows 100 of the stores to continue on.